Ike Behar drops this classic full fit dress shirt, with thin stripes throughout. 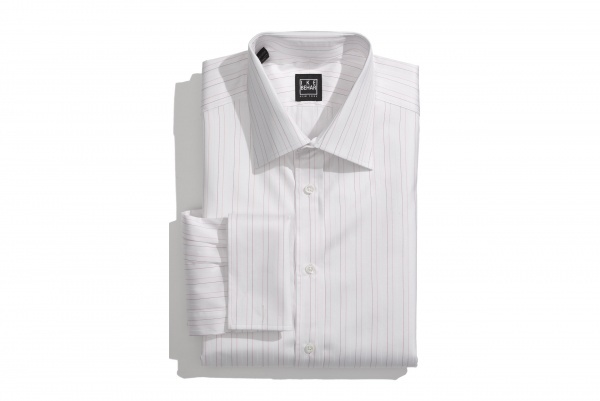 A white cotton shirt, with fine brown and pink stripes that give the shirt a wonderful bit of subtle color. A great spread collar shirt, perfect for the office, and available online now. This entry was posted in Dress Shirts, Tops and tagged Ike Behar. Bookmark the permalink.